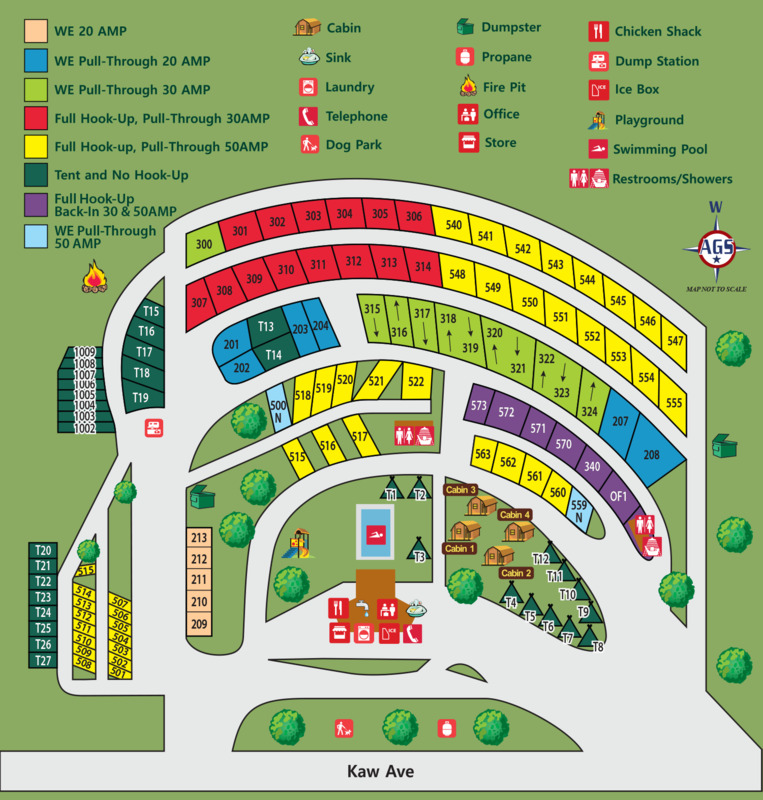 Ask fellow campers about "Butte KOA" and nearby attractions. It was close to the end of the season when we stayed here in late September and this KOA closes in October. I had called ahead to make a reservation but got a phone message to show up as they had room. Upon arrival we were checked in by a person who others might complain about her attentiveness, but that didn't bother us. We got what we needed and found our site, hooked up, and had a good stay in a spacious site. 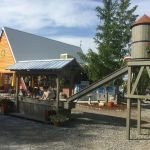 There aren't many other options in Butte and this KOA is conveniently located near I-90 and not far from the historic part of Butte a bit north on the hillside. Our site was at the rear of the property, with the State Tourist Center next door. WiFi was good as was ATT cell. Utilities were up to date. A good stop. We camped at Butte KOA in a Travel Trailer. Historic downtown Butte is very interesting with old buildings dating back to the late 1800's. And the Berkeley pit mine is worth seeing. As for dinner try Lydia's Supper Club, a throwback restaurant with excellent food and service. Check their website. Easy access to all things Butte. Overpriced like most KOA camps. WiFi worthless on back row. Gravel roads and pads. People were freindly. We camped at Butte KOA in a Motorhome. Put into a site where we had to park in road and share a 20 amp pedestal with another camper. No sewer. Lots of mosquitoes and other bugs. If you stay here, bring the bug spray. Noisy from being very near Interstate. We camped at Butte KOA in a Travel Trailer. We spent a week here while in town on a short term job. Very friendly folks. We used one of the new full hookup pull through sites. Very nice (will be even better when finished). We would stay again. We camped at Butte KOA in a Travel Trailer. Owner was hard to deal with. Even with reservations four months in advance, had trouble staying on site were currently on. Owner claimed you cannot reserve a particular site and this site was reserved for someone else. Sounds like a contradiction of his own policy. Owner gave us a take the new site which was still under construction or leave. Owner was more worried about making a dollar then the campers. Site was Ok but not too level. Gravel interior roads. Did have a lot of maintenance staff. Central location. We camped at Butte KOA in a Fifth Wheel. Don't stop here. Less expensive campground 5 miles down the road. Big rig friendly with level sites. Easy on/off to I15. Dog park was good with bags and grass. Wi fi was slow but worked doing day. Laundry and showers were good. Good walking trails close to campground to walk or ride bicycles into downtown. Roads could use some work. We camped at Butte KOA in a Travel Trailer. Walmart, restaurants, and shopping was 5 miles. Lady of the Rockies was beautiful and worth the price. When we made our reservations the girl appeared new or confused. She kept asking me the same questions, and it took her a long time to book a site for one night. When we checked in there were three working the desk and they took about 15 minutes before they figured out if our site was available. We were given what they call a "deluxe" site which had a patio and grill and table, and the site was small and not level. We couldn't find anything deluxe about it. It seems for what we got it was way overpriced. We won't stay here again. 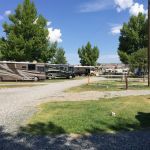 We camped at Butte KOA in a Fifth Wheel. We were in Site A, $49 for a 30 amp, full service pull-through. Sites are gravel with grass in between. Site A was very short. WiFi is terrible, in fact it was not possible to get connected, even from inside the office. The host, who also could not get connected, claimed to be surprised - as if I believe this was the first time they have had connection problems. Each site has a picnic table but no fire ring. There is a fried chicken restaurant on site and they sell propane by the gallon. We camped at Butte KOA in a Fifth Wheel. Decent KOA - older like most. Could use some updates but is clean. Showers are in need of repair to the shower handles. Sites are wide and long enough - didn't feel crammed in like some other KOA's. Management very friendly. Verizon wireless is good as well as 4G. WiFi was good as well. 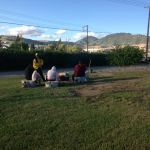 The grounds are well maintained and the man who guided us to our site was very friendly and helpful. Good location to check out the World Museum of Mining - worth a visit and a tour of the working Orphan Girl Mine. The roads were easy to navigate and the utilities were just fine. Our site #85 was open for the Direct TV satellite. There were a few local stations. We would stay again for a night or two. We camped at Butte KOA in a Travel Trailer. World Museum of Mining is a great thing to see. Do the underground tour. Very interesting and historically informative. Also the Mineral Museum is supposed to be fantastic but we didn't get to it. Also the Chicken Shack at the Butte KOA has good fried chicken and we were told that the halibut is really good too. No trees. very hot, and no shade. Park staff trying hard, but very inexperienced. Very dusty and dirty, good for overnight only. Very unlevel sites, no cable, wifi not very good at all. We camped at Butte KOA in a Fifth Wheel. Just an overnight stop. Staff in office were polite, but focused on the work not on the customer. Multiple staff members bopping around, but no one escorted us to our site. Roads in campground are a bit confusing and we went the wrong way once. There are signs with site #s at the end of some of the rows, but the text is small so you can't read it until you're on it. Maneuvered our 40' fifth wheel no problem throughout campground. I don't believe anyone listened to me when I made the reservation nor when checking in. We have an extra vehicle plus flat trailer with motorcycles in addition to truck/fifth wheel, so we take up more room. We were given a site on the end of a row, which was shorter than the sites in the middle of the row. Did not want to park our motorcycles for everyone driving down the road to see, so we parked them in our "patio" area. Width between us and our neighbor was the width of our SUV plus a foot. Site was not long enough for even our truck and fifth wheel. Had to park truck at a weird angle and in the grass. Site was gravel/dirt; hookup side had grass; patio side a fine dirt. Leveled without issue. Hookups located in usual spot; worked as desired. Wifi worked for surfing websites. Multiple bars AT&T LTE. I called the office to see if someone was available to fill a propane tank. Staff said, "I'll send someone right out there." So I went to the propane filling spot across from the office. Waited about 5 min. A gentleman came out eventually and said, "do you want propane?" I said yes, and that I had just called. He said, "Oh you can't call, you have to come into the office." Ooookay. Maybe some miscommunications happening between staff then. Lots of bicyclists in the campground. Had a 'pan for rocks' setup for kids; very cute. A decent place; we've seen much worse. We camped at Butte KOA in a Fifth Wheel. Muddy Creek Brewery has great beer and the owners are very nice. Passed over two other good sounding parks for this one because the KOA website said " Deluxe sites with concrete patio, picnic table, swing, fire pit, grass and shade". Just an extra $10!! OK, it's my birthday so let's deluxe it for the night. Roads are all gravel and dusty (typical of KOA's) so that was OK. Did have concrete patio, fire ring, picnic table but no swing, no grass only weeds cut to look like grass, no shade and really close to I-90. So don't book Deluxe. Access from highway easy as is entrance to park. Again all dirt and dusty. Pool area nice but lots of kids as one would expect with KOA. Other than that, again, typical for our experiences with KOA. We camped at Butte KOA in a Motorhome. Went to Casagranda's Steakhouse in uptown Butte for dinner. Worth going to. Unexpected quality. Food was very good, service also very good. Lots of steaks as well as other choices to chose from. Set in an old beer warehouse from around 1900, interesting! Average place, Office friendly. We camped at Butte KOA in a Fifth Wheel. Terrible check-in. Weeds everywhere. Poor front desk personnel. Poor condition. Very, very noisy. Right on I-90. We camped at Butte KOA in a Motorhome. KOA prices without the KOA quality. This is a sad, dilapidated campground with bumpy roads and pads and lots of weeds. The customer service was friendly, but the whole place just gives you the impression that they have quit trying. In comparison to other KOA parks, the pool was very small and there is no cable TV. In the area where I was parked, there were shared pedestals and the pads were quite close together. My driver's side slide was about 18" from that of the RV next to me. I saw two people whose slides were actually past the shared utility post, forcing the second person into the spot to move off the pad onto the grass to get their own slides out. It seems this was not being policed by the staff. The wifi was decent and the Verizon signal strong. Alas, if you want to visit Butte, a darling little town, this is really your only option, as the other park in town is farther out, even more shabby, and only a few dollars less per night. There was traffic noise from the nearby highway, but it was only really annoying at night when everything else was quiet. I wouldn't recommend this as an overnight stop, unless you want to visit Butte. We camped at Butte KOA in a Motorhome. Butte has one of the best off-leash dog parks I've found in any city. The park also includes a fishing pond for youngsters. 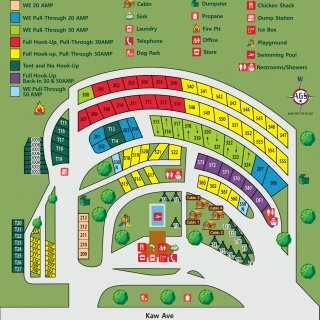 You can get directions at the visitor information center, next door to the KOA. Loved Butte. SO much to do, could have stayed longer. Took the Chamber of Commerce trolley tour, super convenient, next door to park. Worthwhile. We went to the Butte Archives and looked up some family members that were born in Butte in 1895, interesting. Enjoyed a GREAT meal at the M&M, a combination bar and diner. The campus of the college is beautiful. 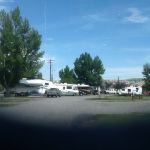 Overall, good little rv park in a great little town...enjoy! Definitely recommend eating at Casagrandas Steakhouse. Enjoy the chicken shack, the spaghetti was very good. Great town if you are interested in mining history. Was a very big copper mining town back in the early 1900's and there is lots to see. It is also the home of Montana Tech. The Trolley Tour which depart from the Visitors Center next to the park was terific. They offer senior discounts. The Chicken Shack food was great: open on Sunday's. The park is pretty much in town so shopping is no problem. Good meal? Drive the mile+ to Harrington Dr and eat at Montana Club. Great food and service. Very clean and worth the little extra on the price side. Check out Philipsburg about a 40 minute drive away. Beautiful drive and interesting town. Great brewery in town. There is a Butte tourist office right next to the park and a Safeway about half a mile away. For a place in town, there is not much else within walking distance. I thought the prices at the Chicken Shack (in the main building) were a bit high for (mostly) fried fast food. Trolley ride is good to get idea/history of town. Visited Butte Copper (Harrison St) store for copper items. Don't miss the World Mining Museum. Dress warm. The mine is wet and cold. 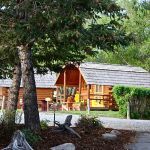 Are you affiliated with Butte KOA ?